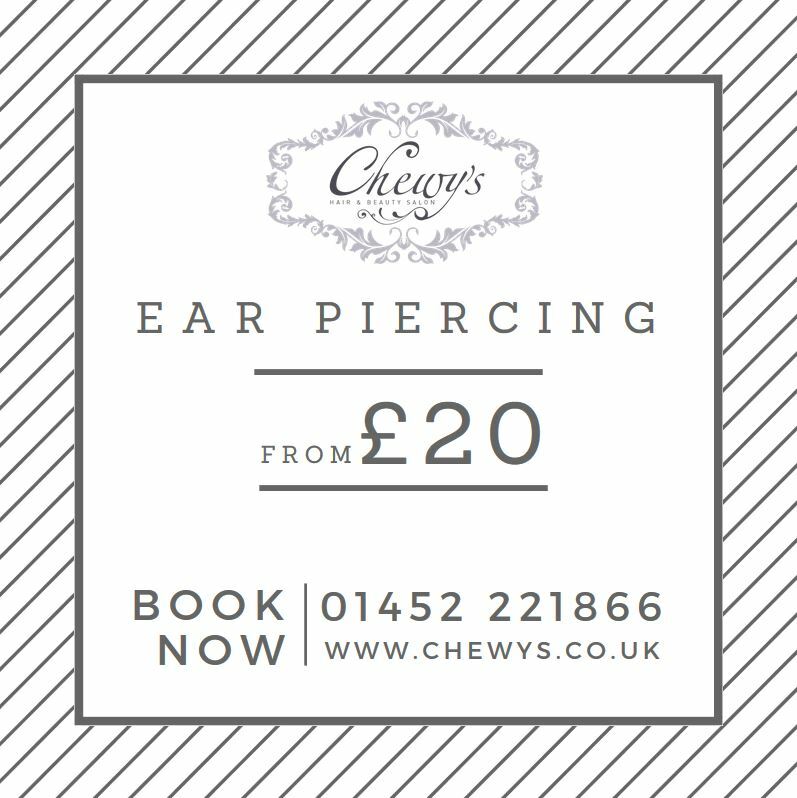 Chewy’s Hair and Beauty offer ear piercing from just £20. If you’re looking for ear piercing in Gloucester, visit our award-winning salon and enjoy the Chewy’s experience. You can book appointments online here for a range of services, including ear piecing in our Gloucester salon.